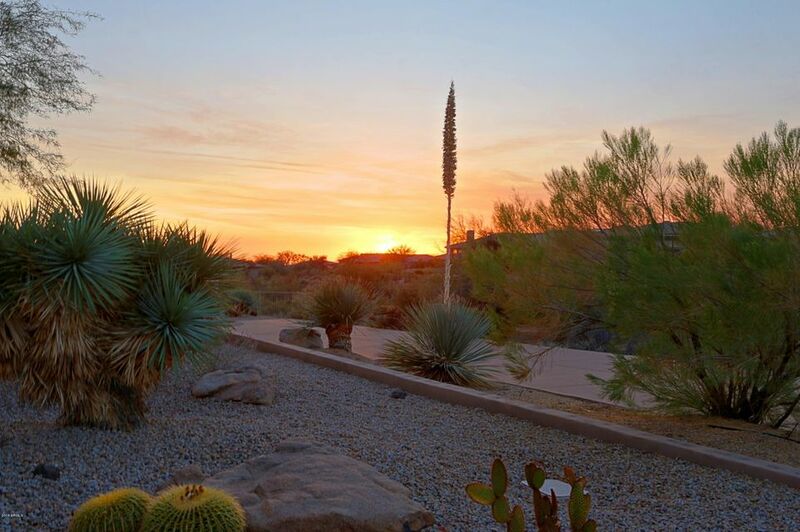 One of a kind in Legend Trail! 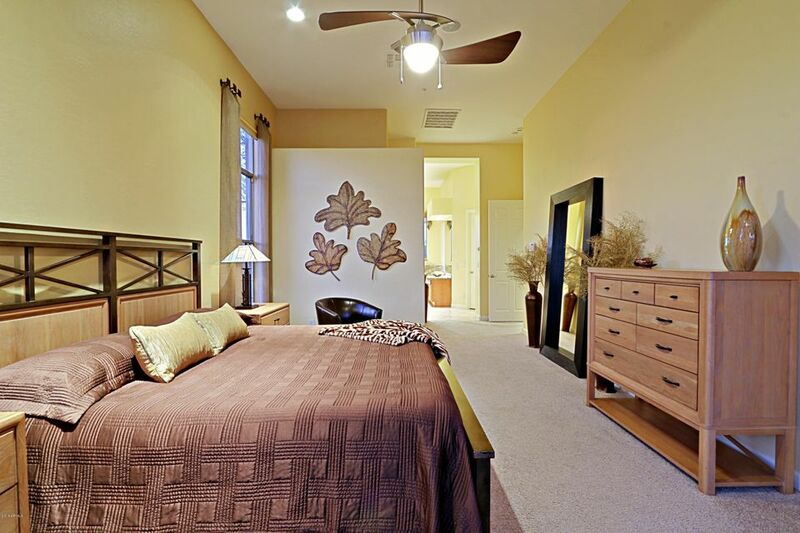 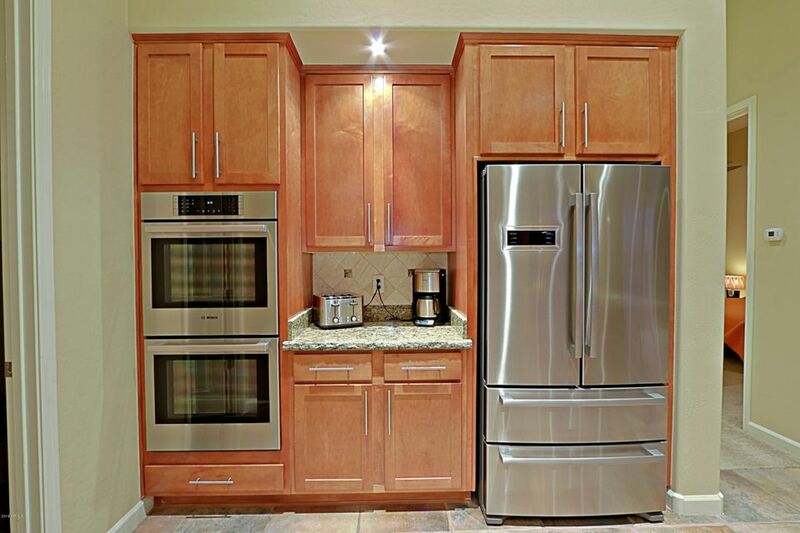 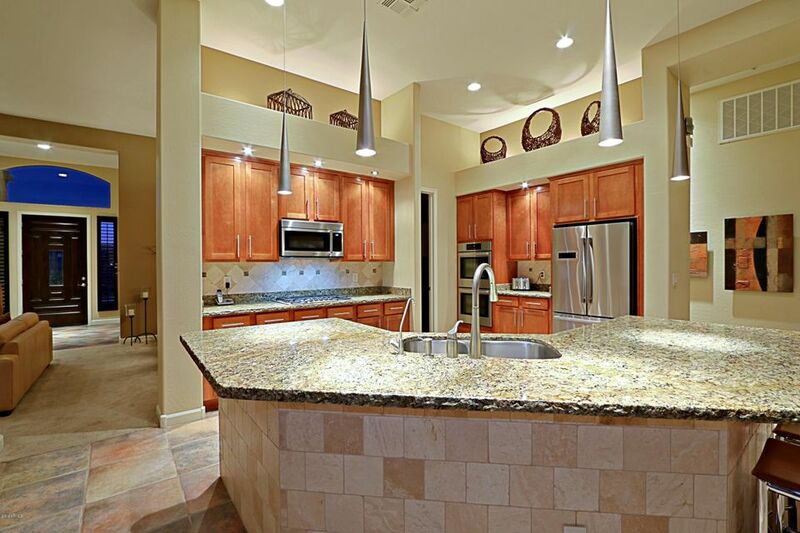 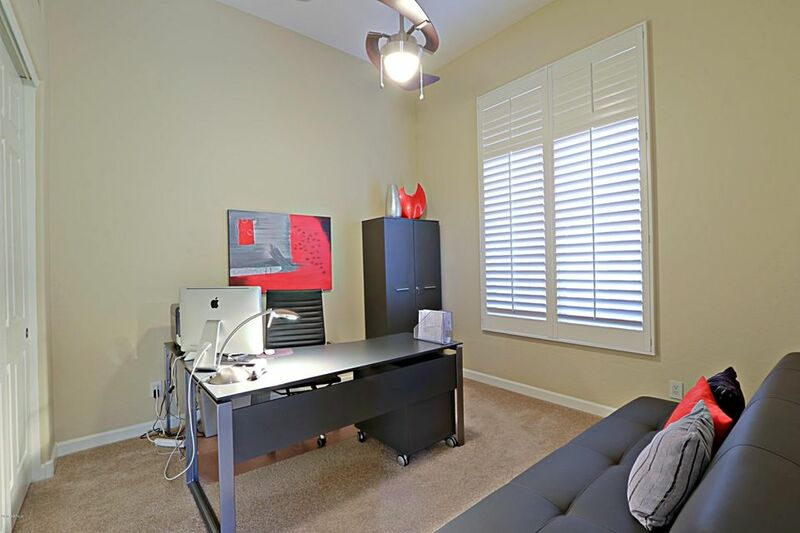 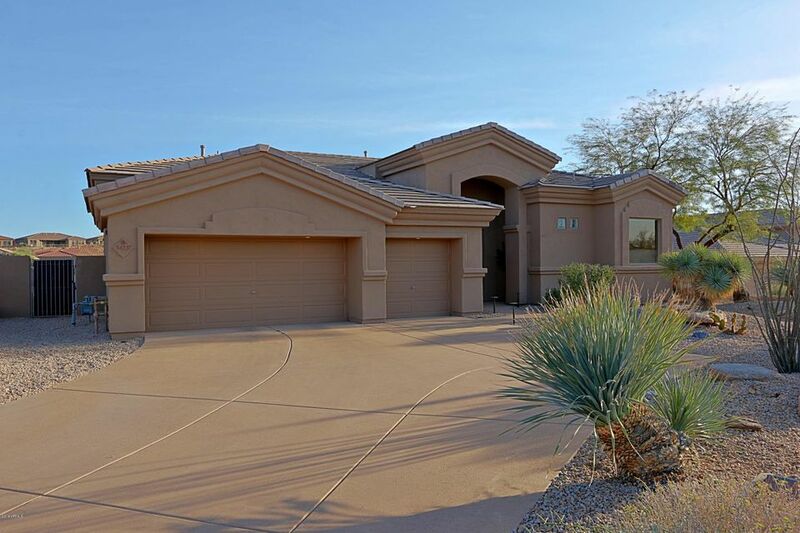 This impeccable & highly upgraded 4 bedroom, 3 bath home located on the golf course is ready for move-in! 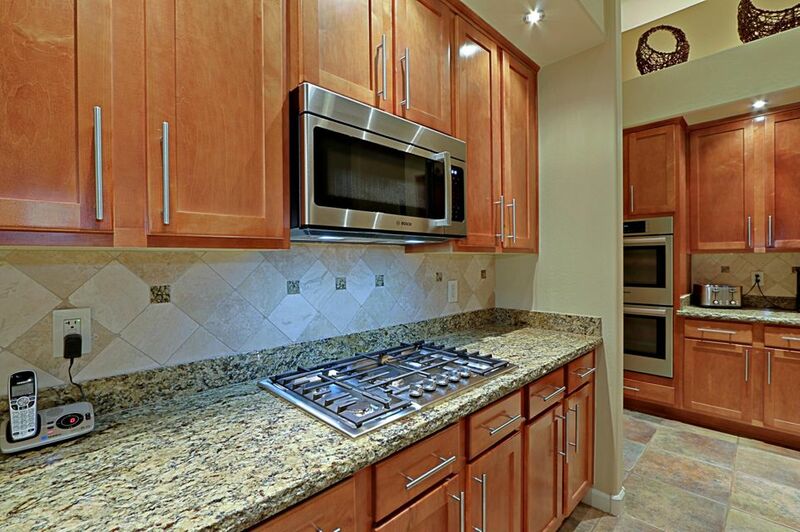 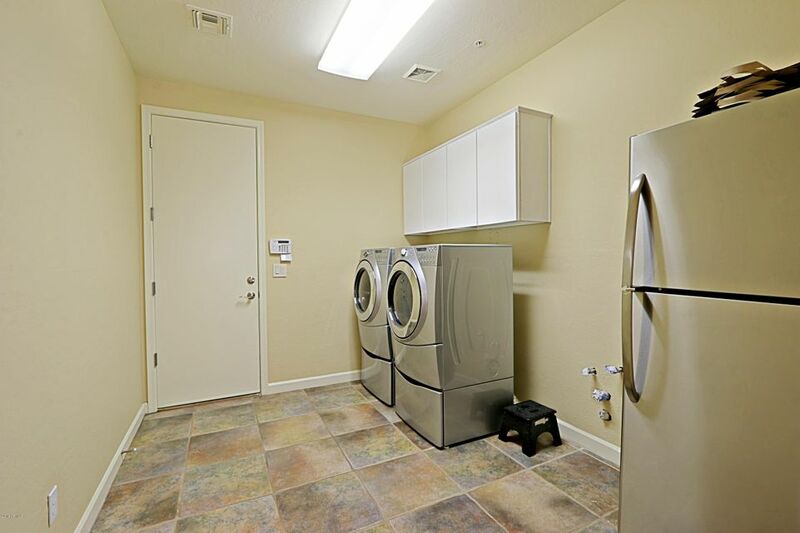 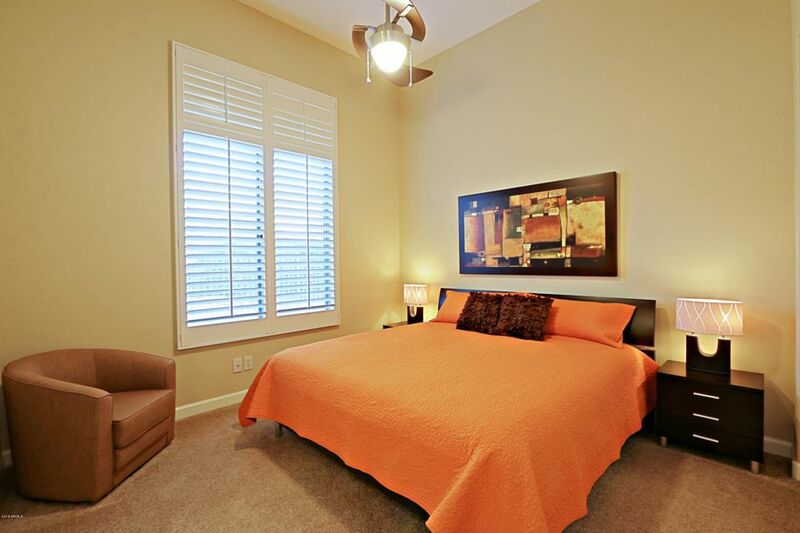 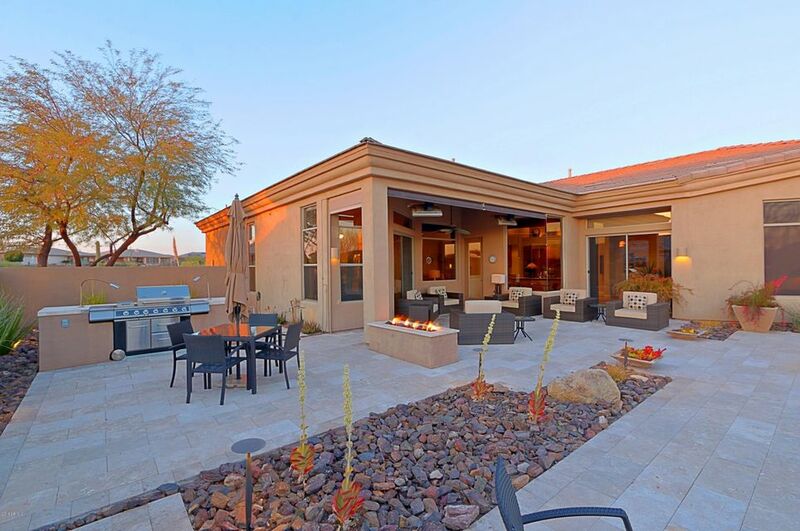 Recently remodeled inside & out! 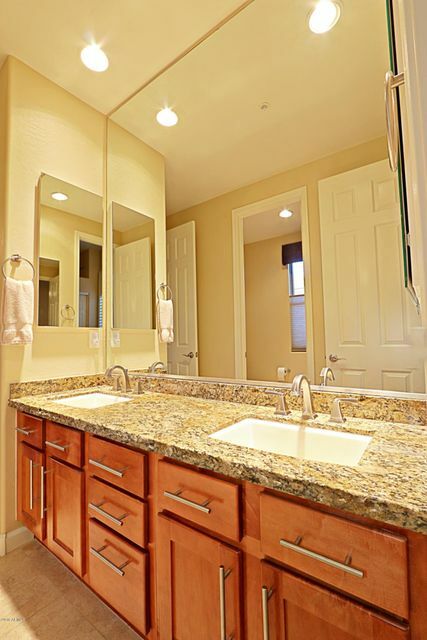 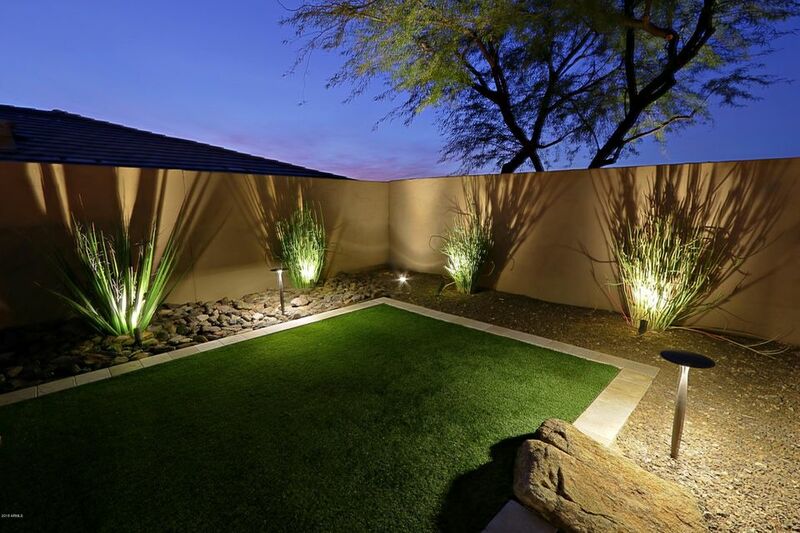 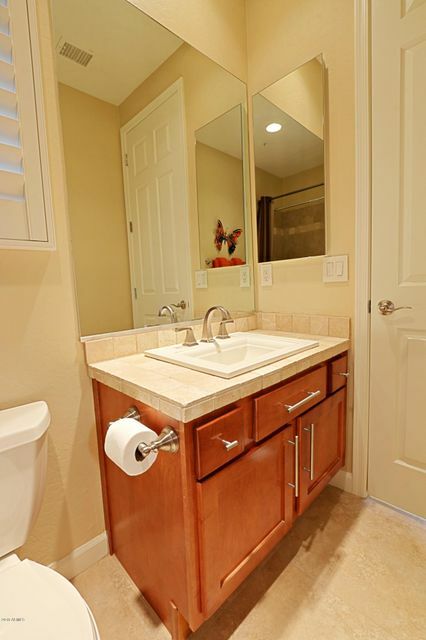 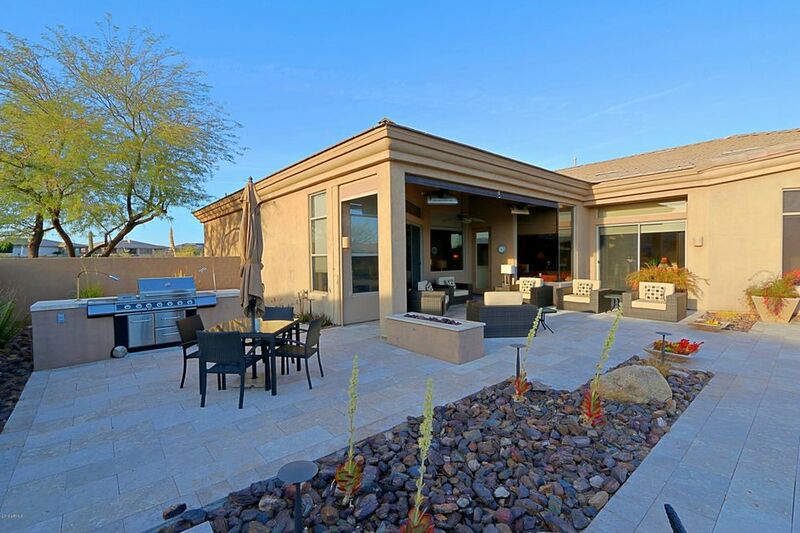 Painted in fresh neutral colors, beautiful tile (interior & exterior), newly landscaped backyard with over $100k in upgrades! 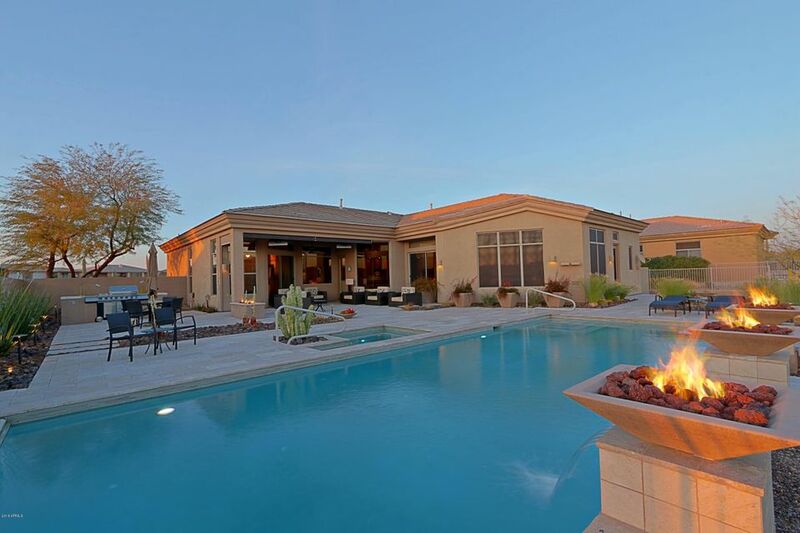 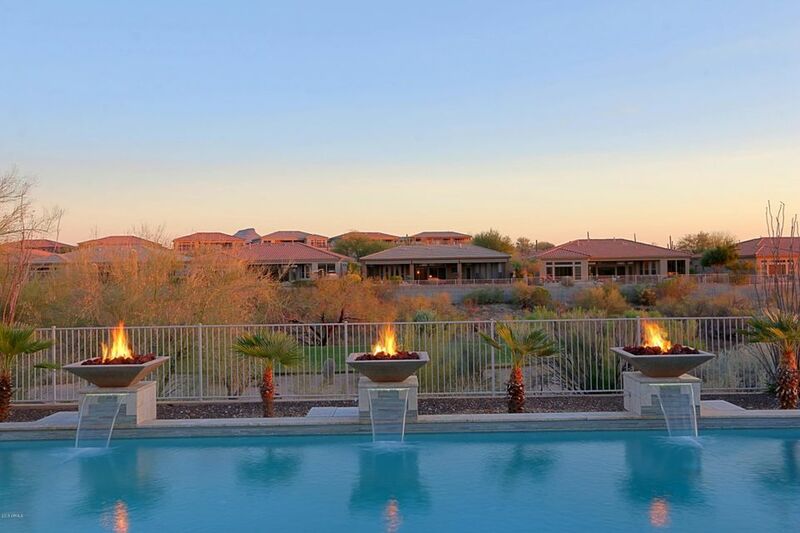 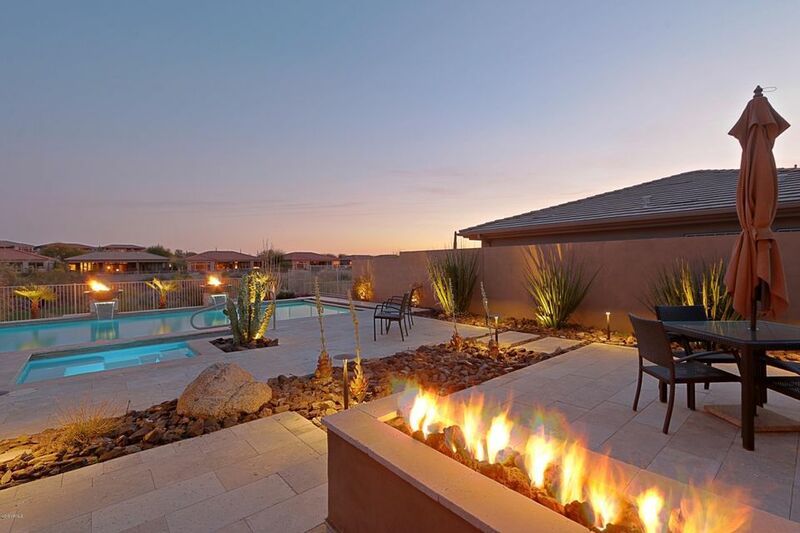 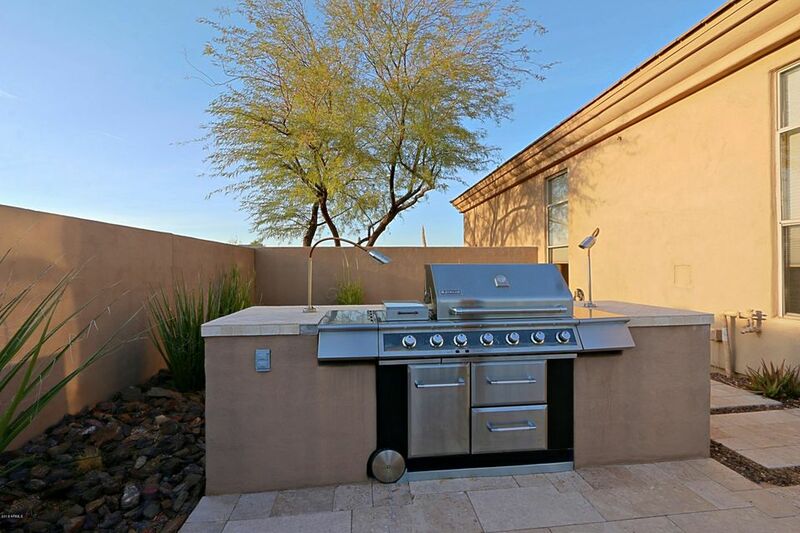 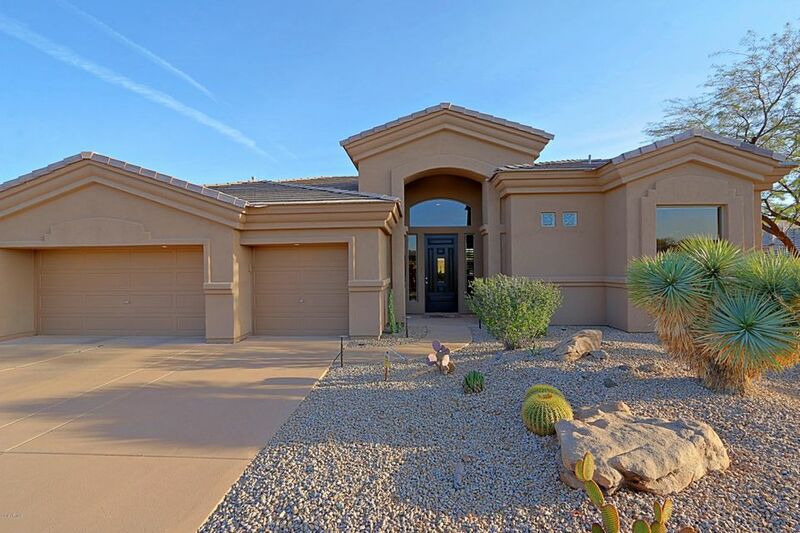 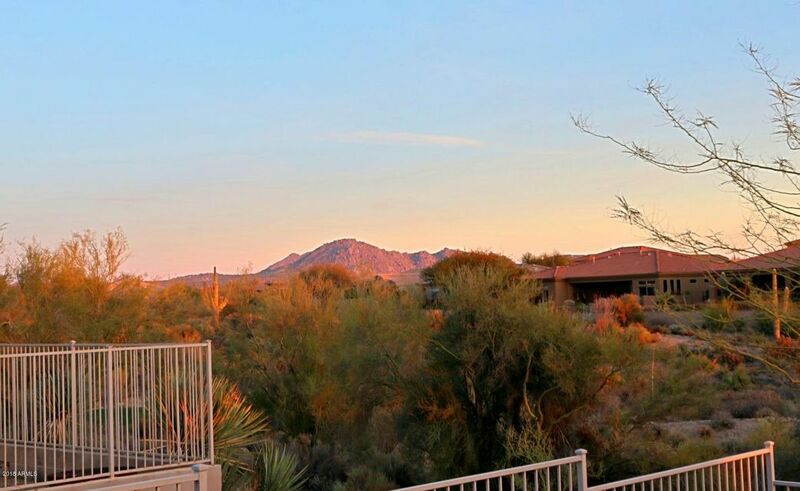 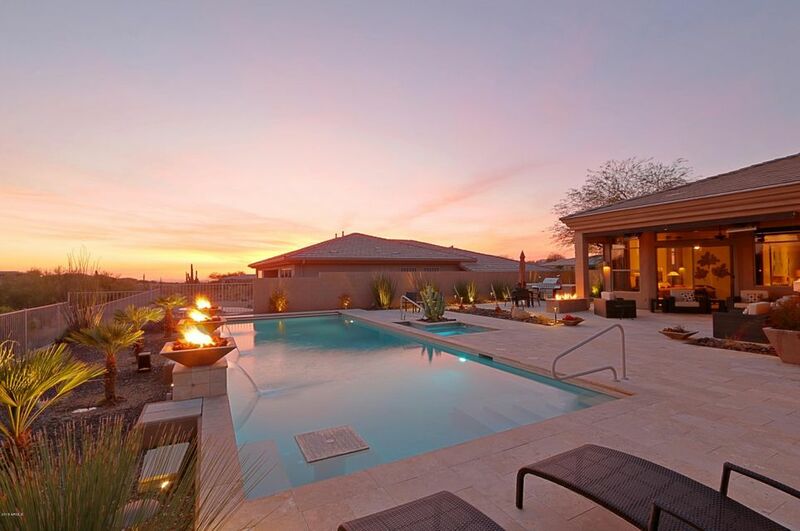 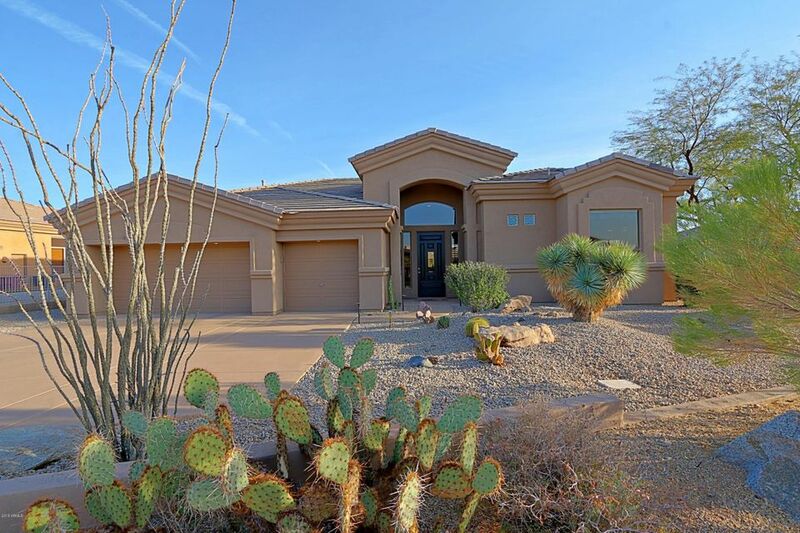 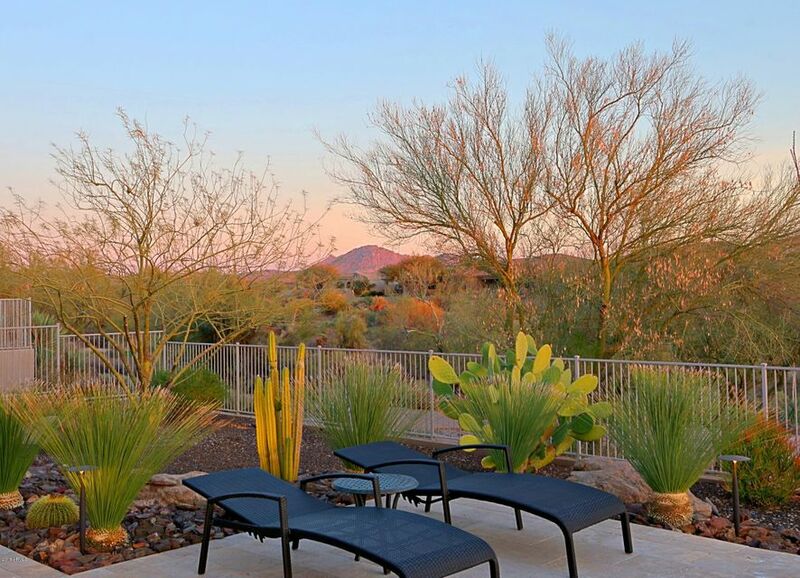 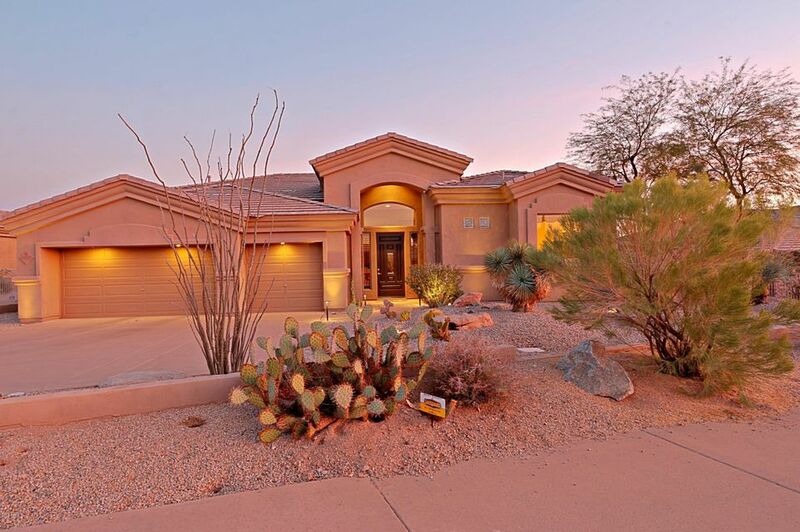 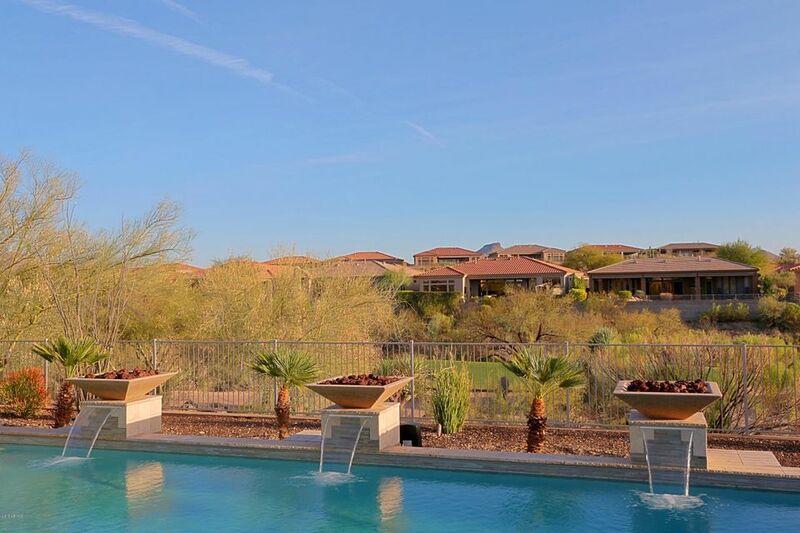 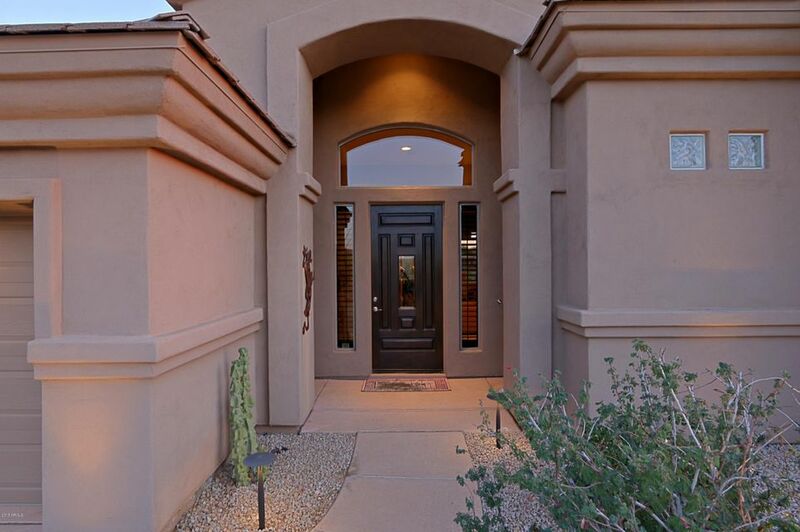 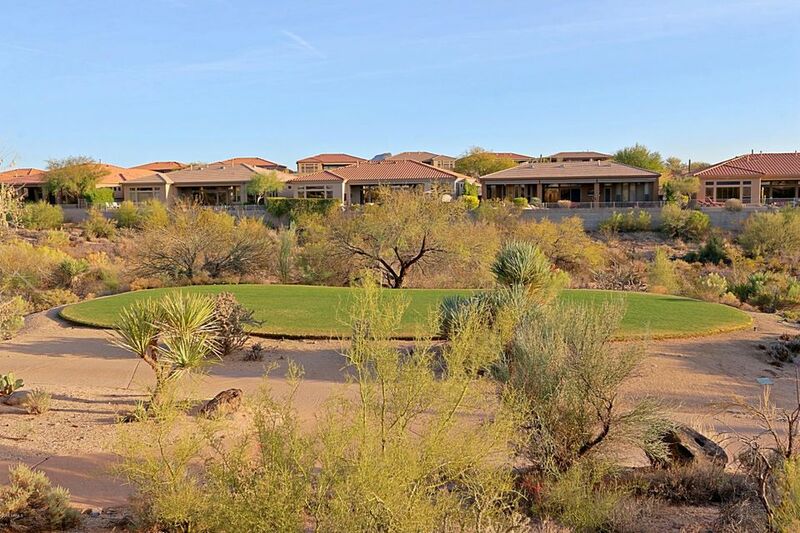 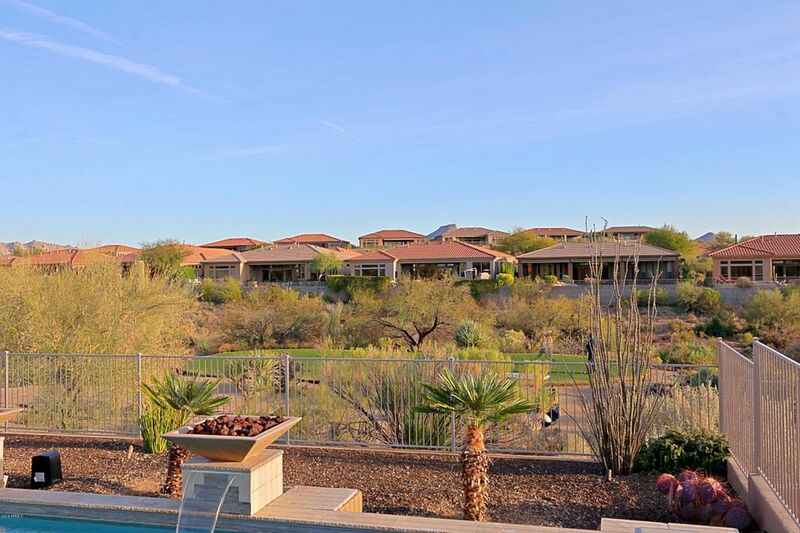 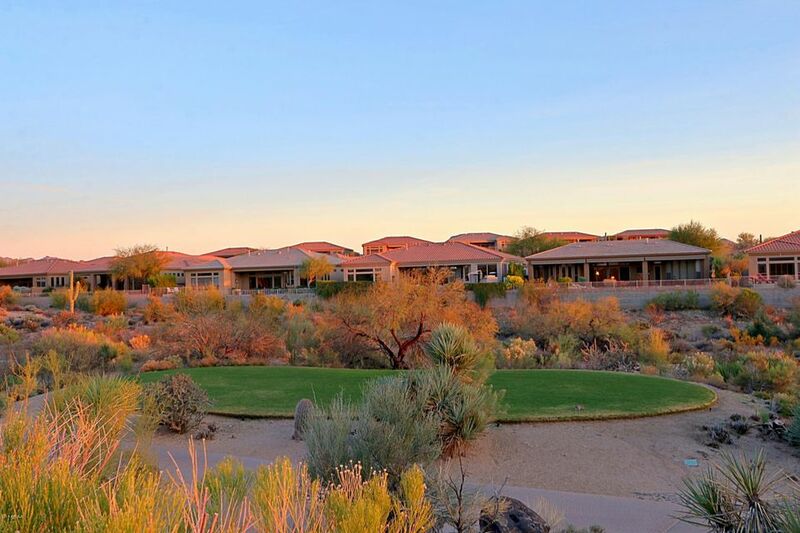 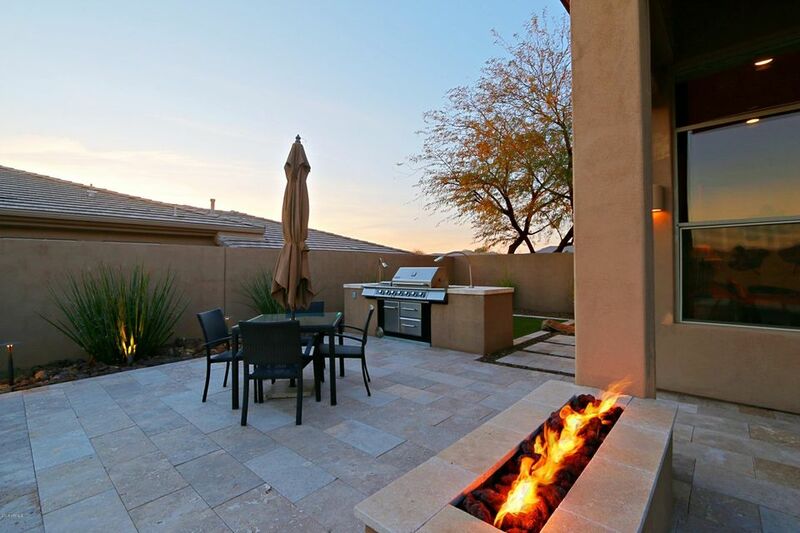 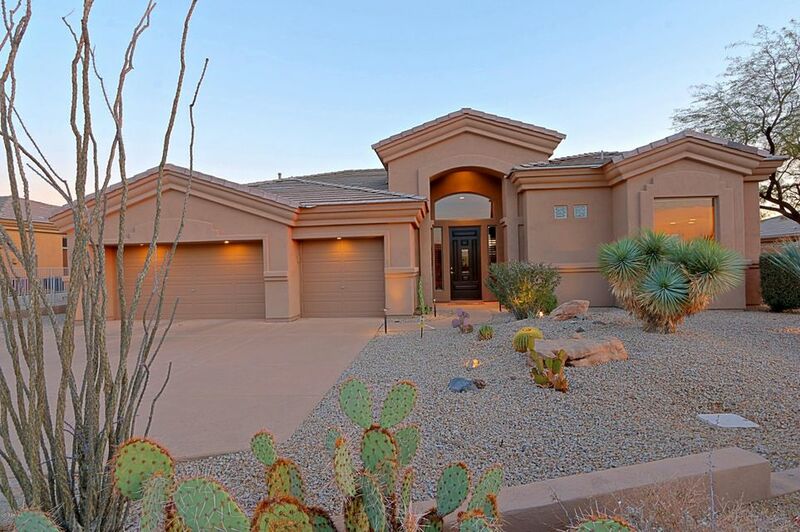 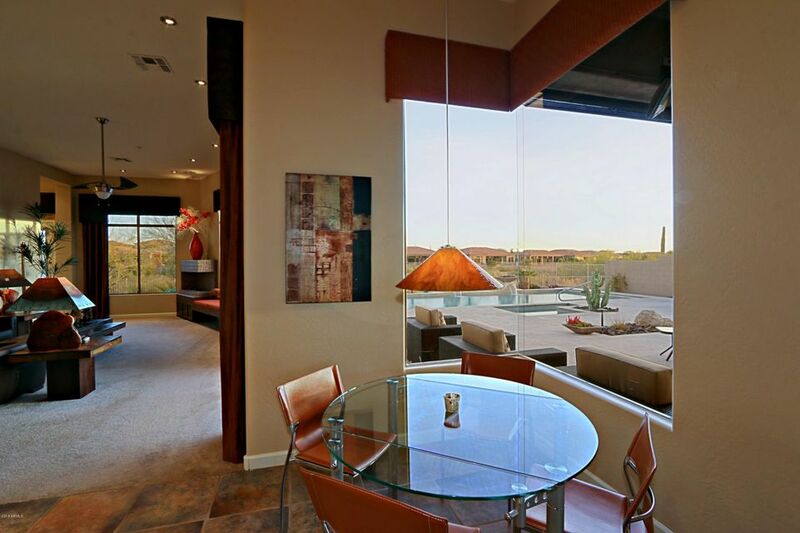 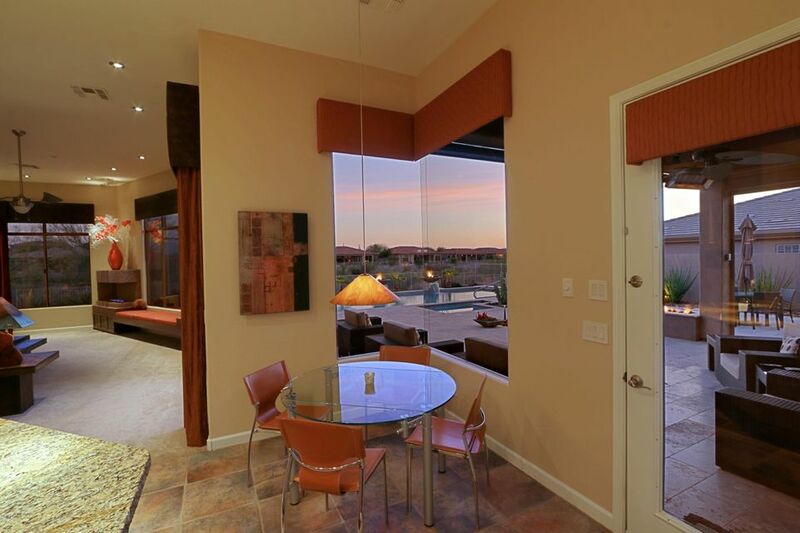 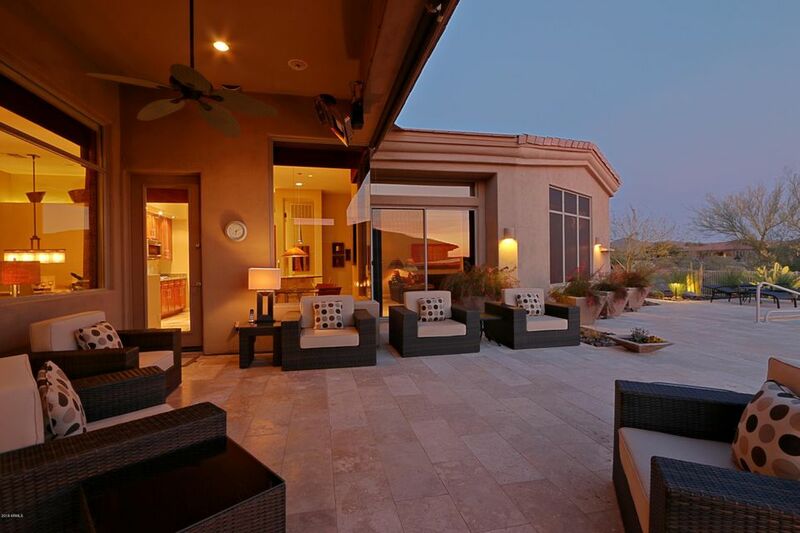 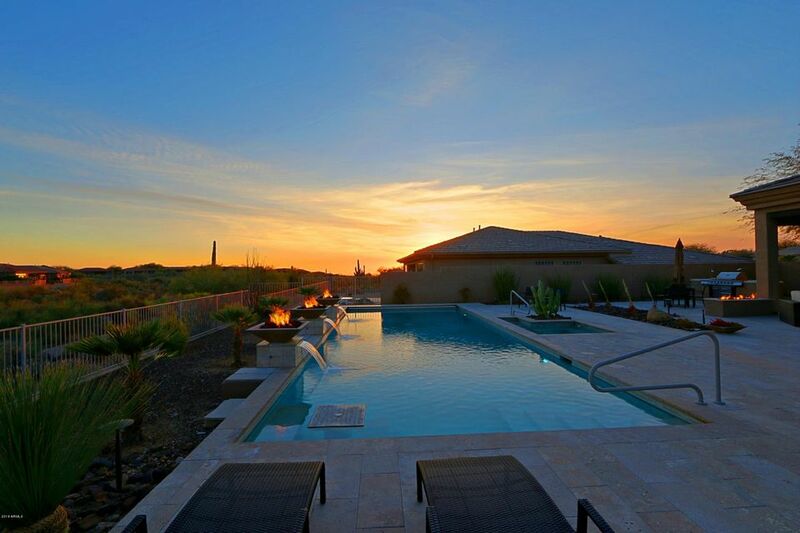 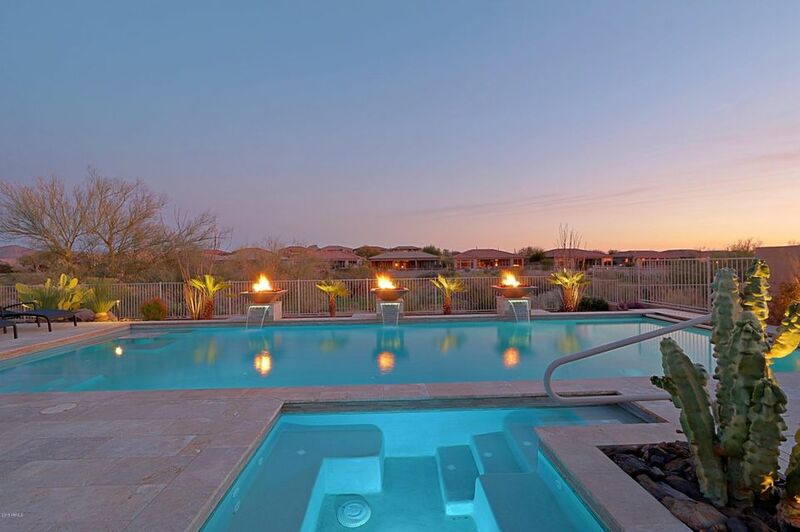 Front faces open desert on a cul-de-sac lot, very private backyard facing the golf course & the 13th hole of LT course. 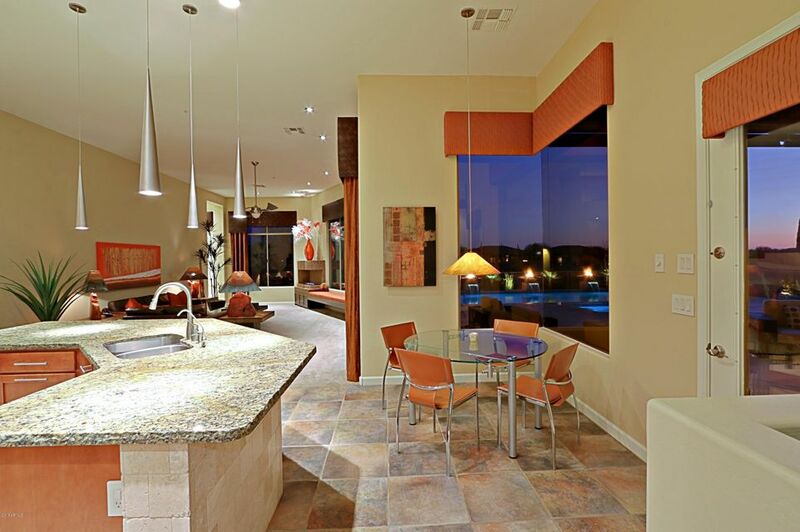 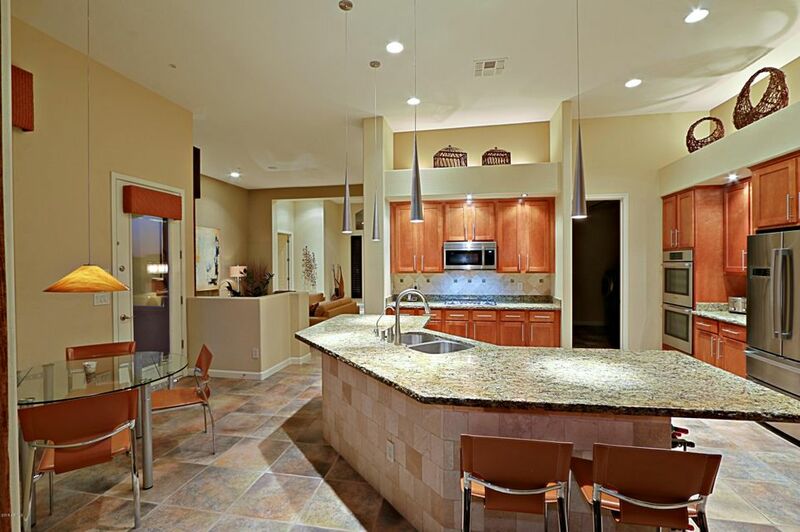 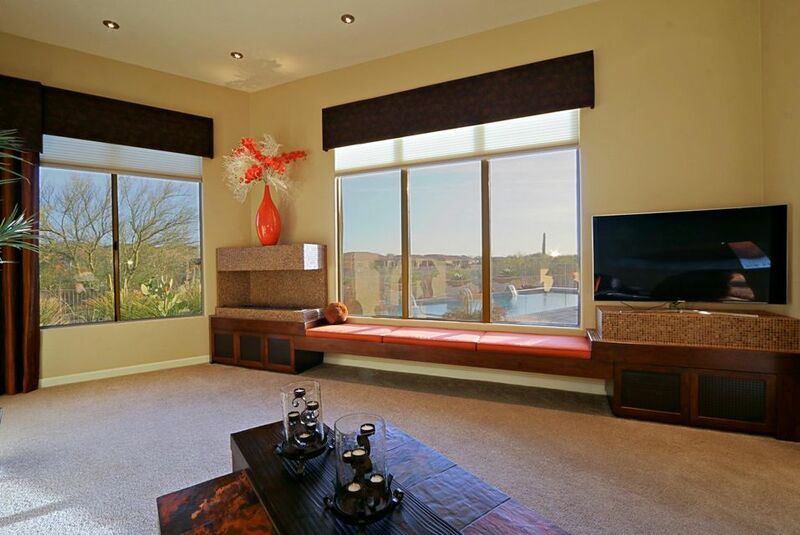 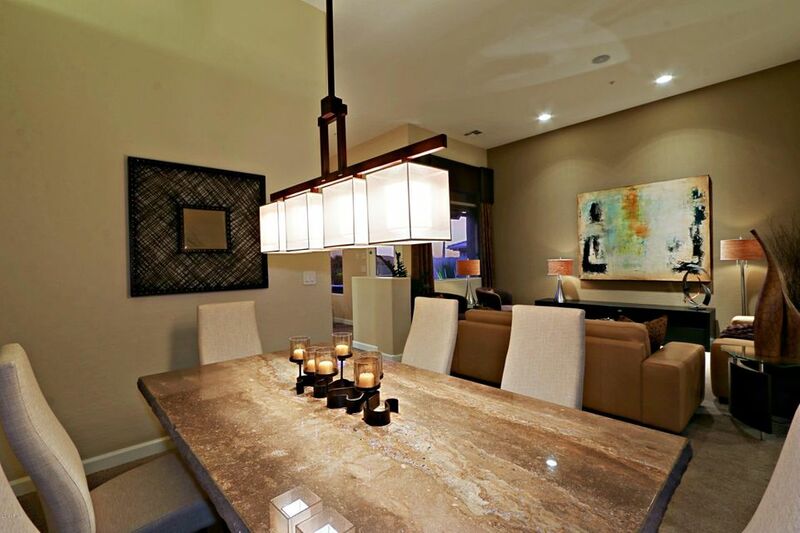 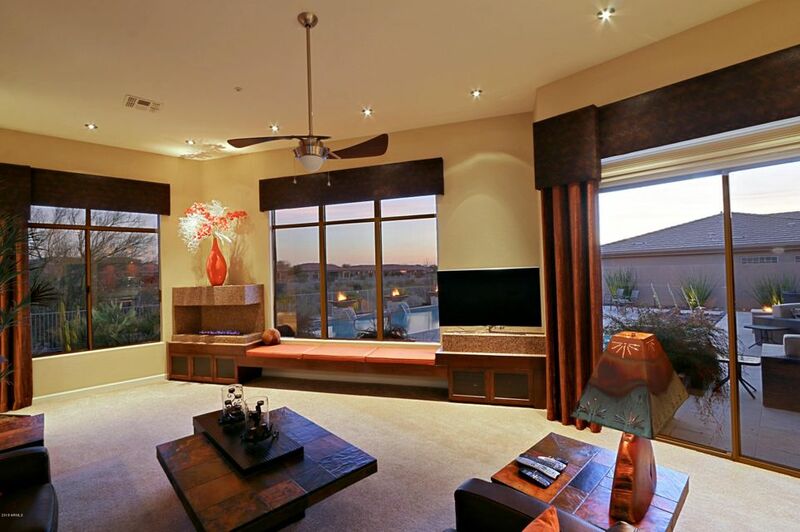 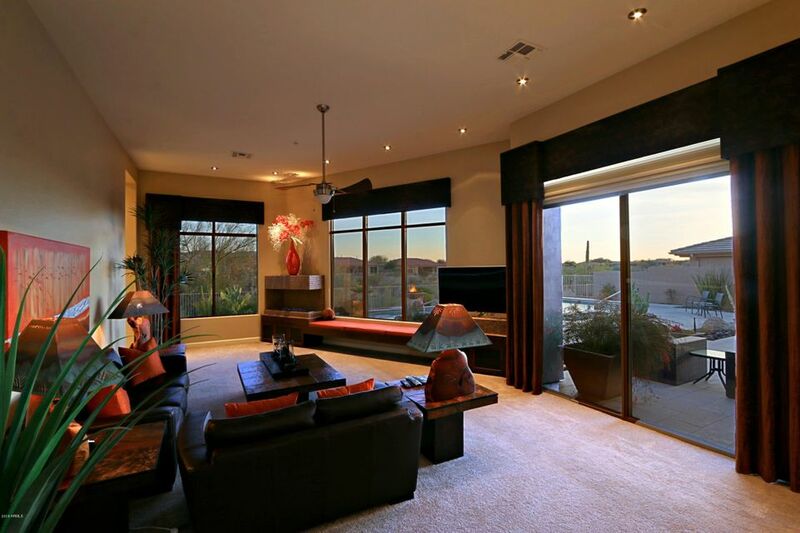 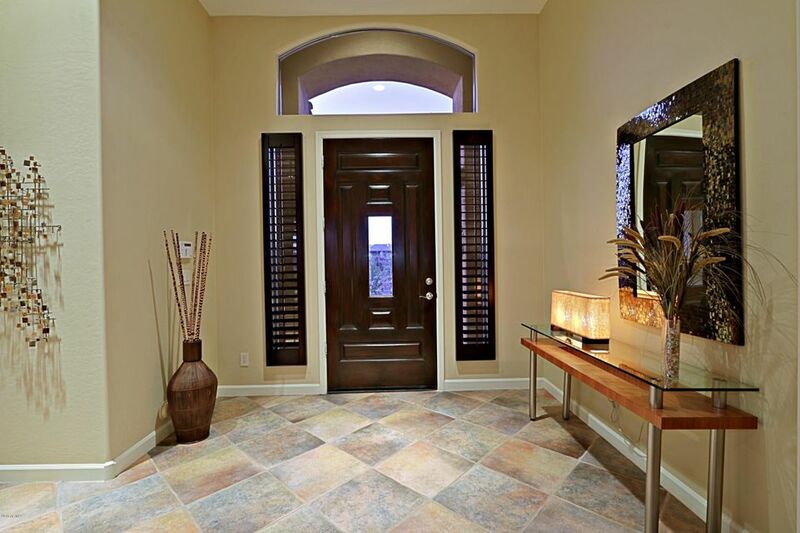 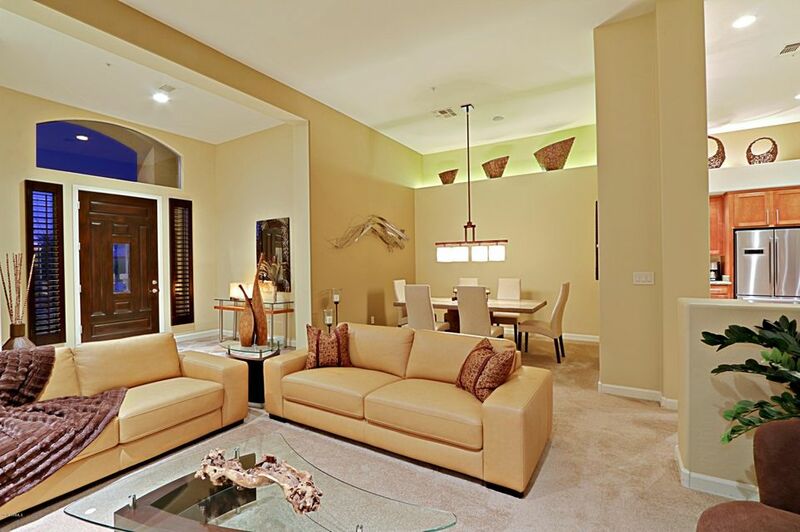 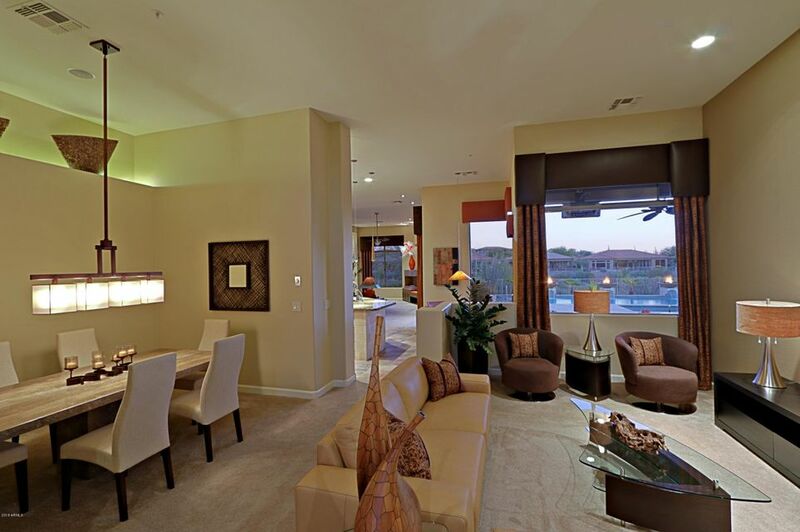 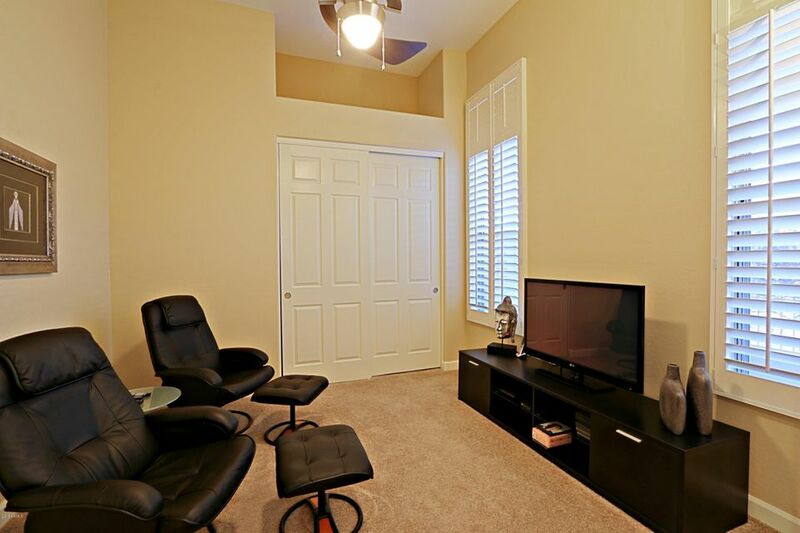 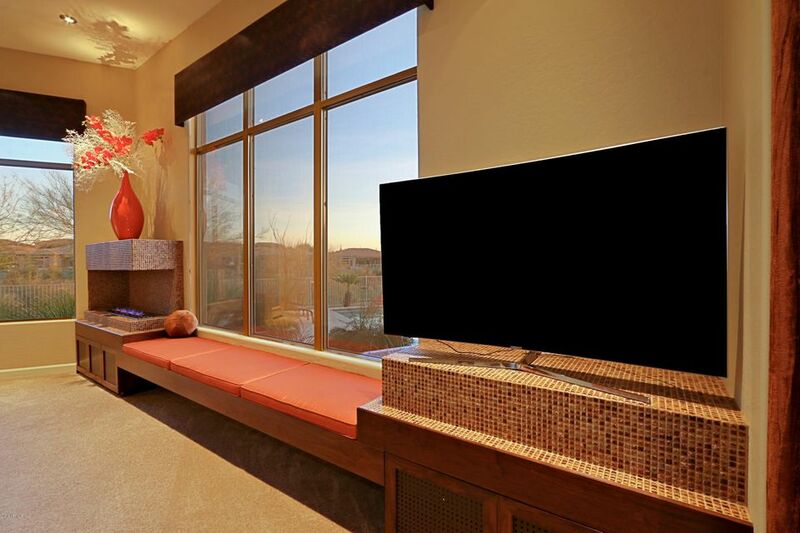 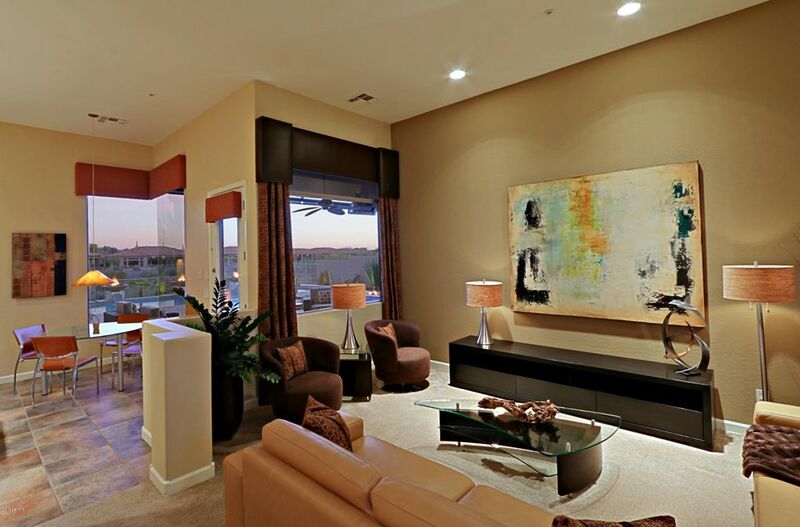 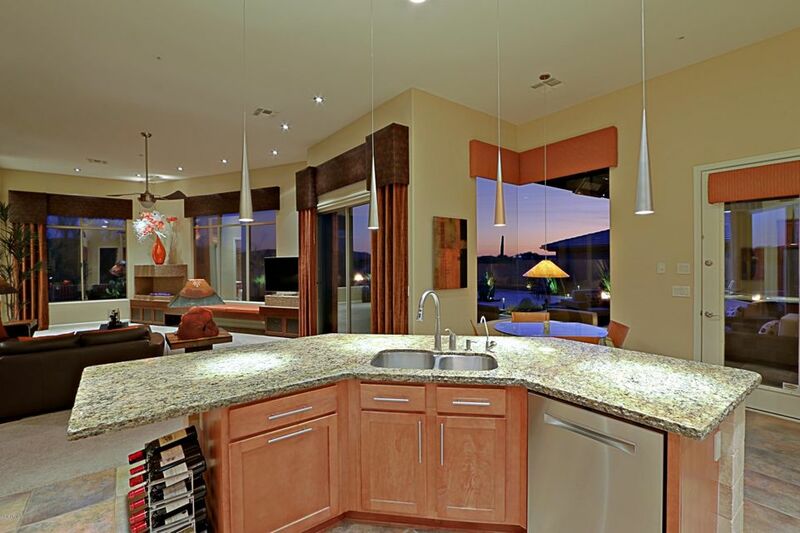 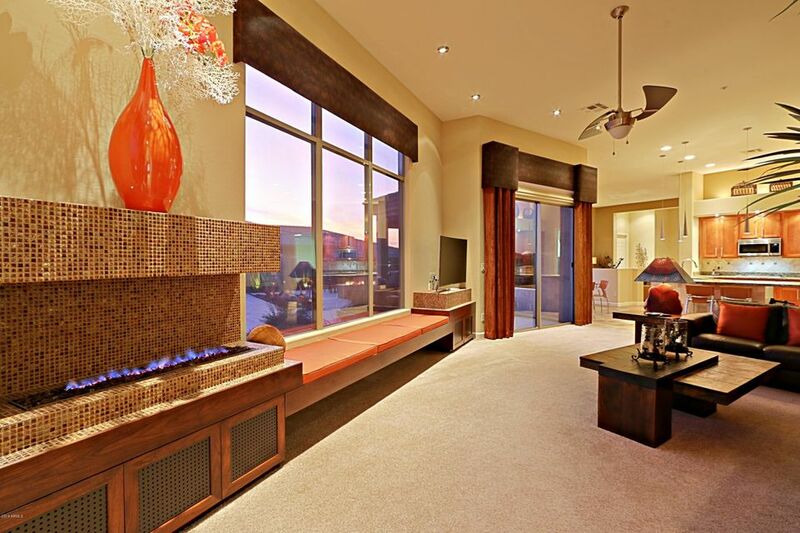 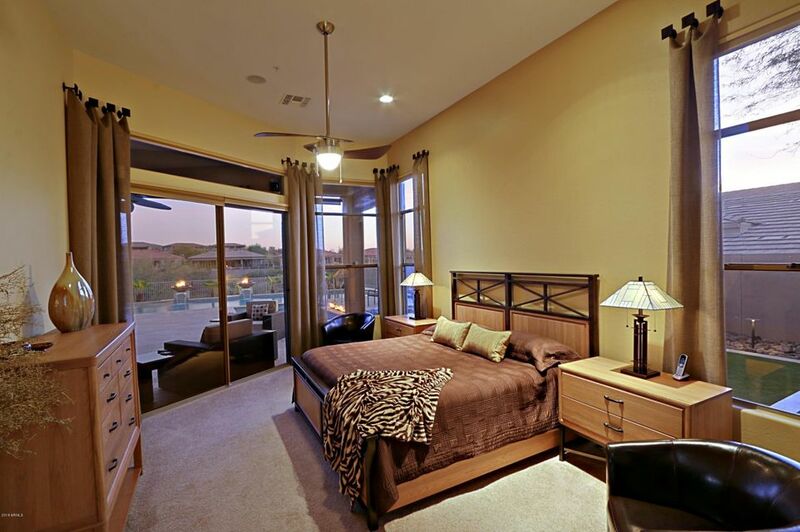 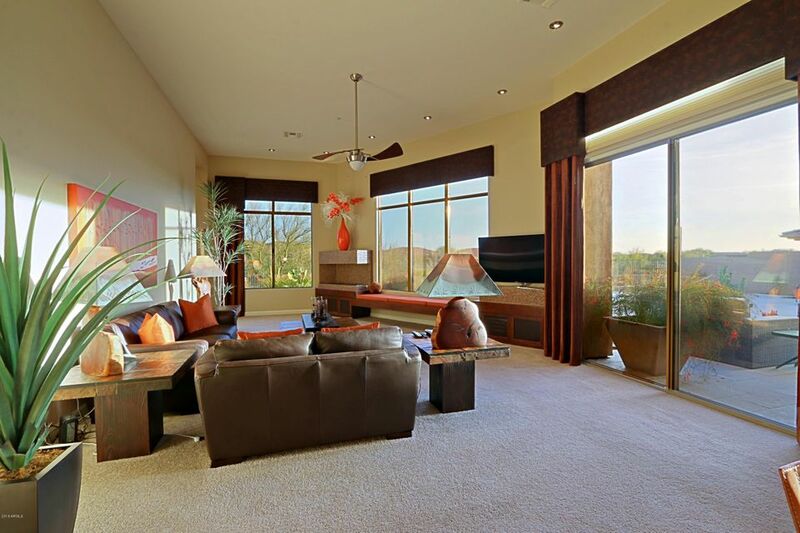 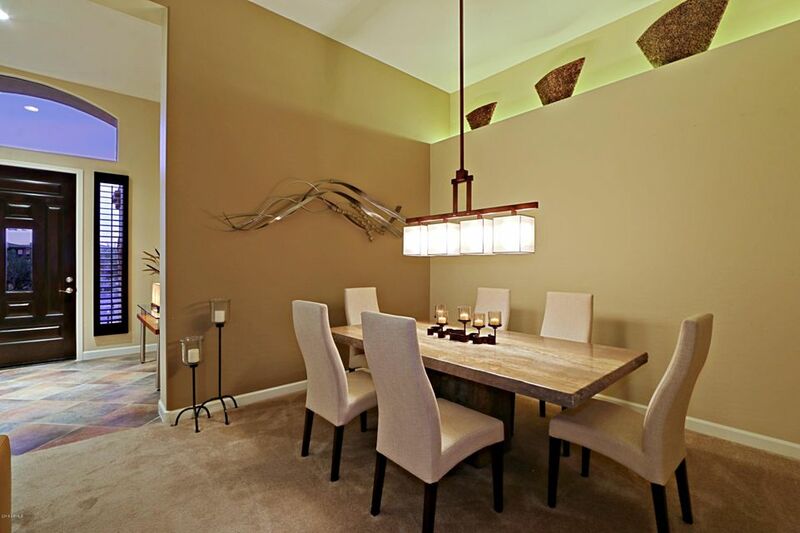 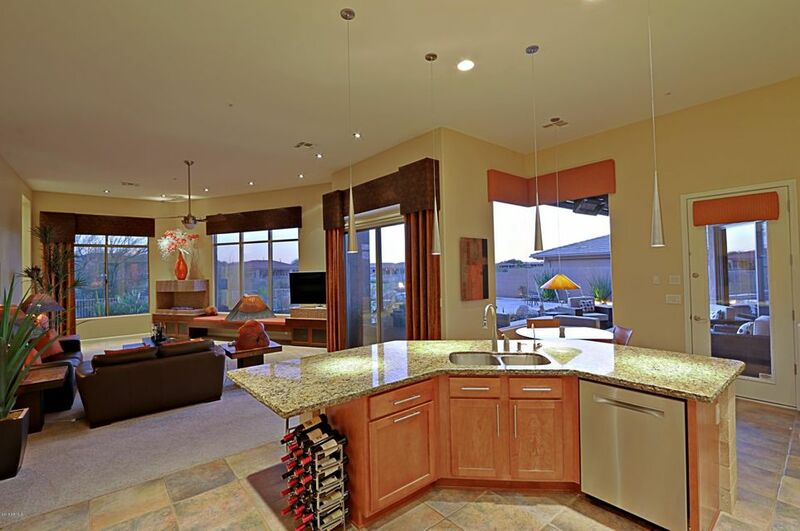 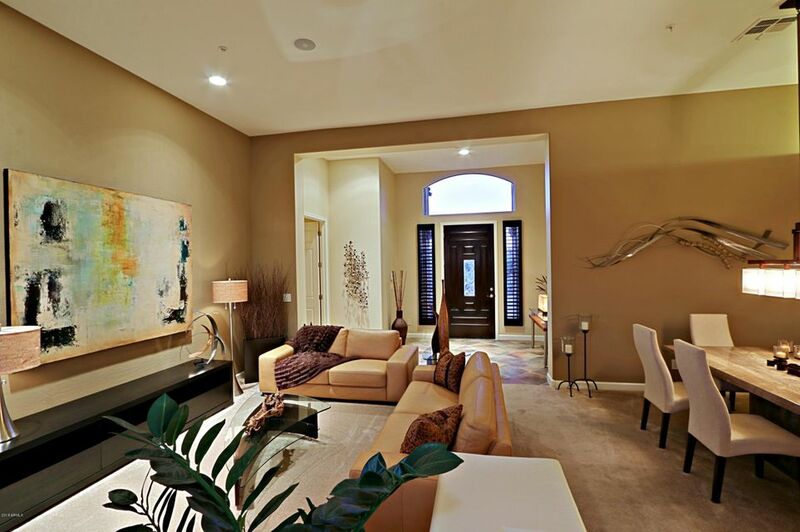 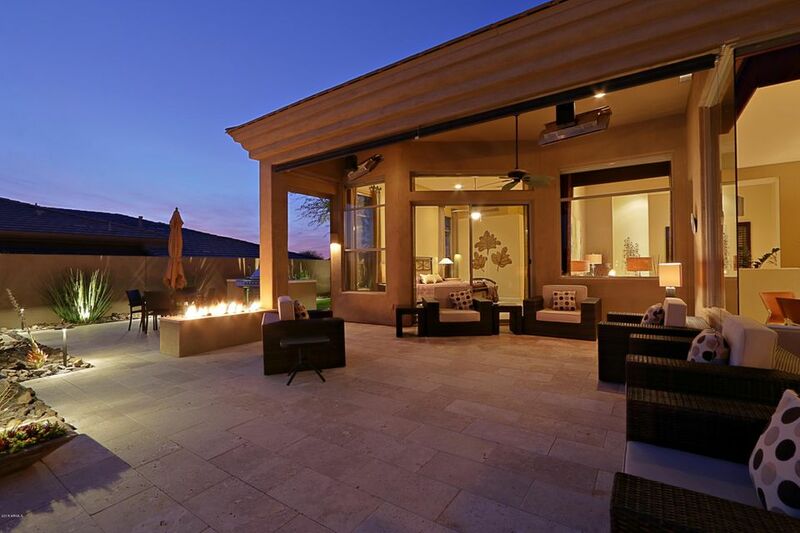 The open split floor plan boasts a formal living room, formal dining room & custom fireplace accented by mosaic tile. 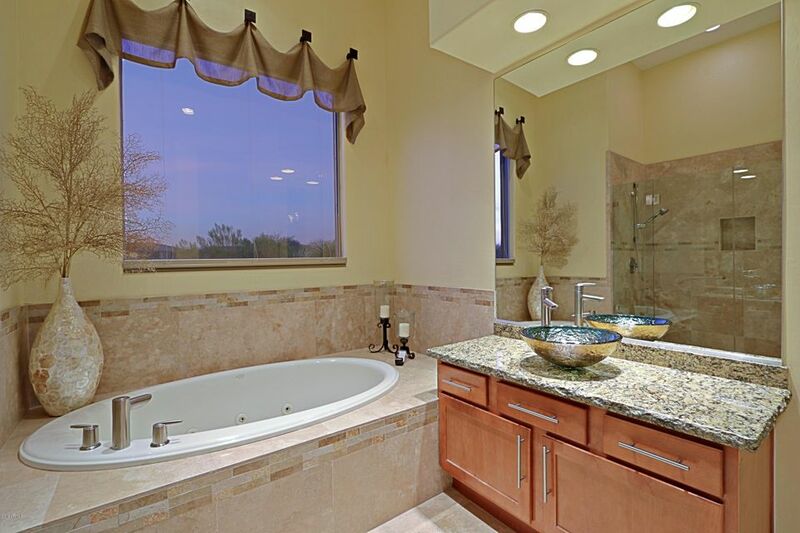 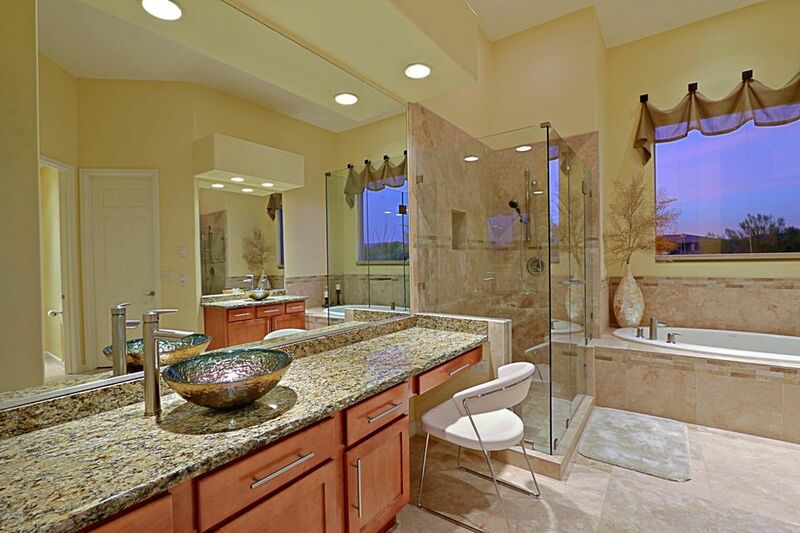 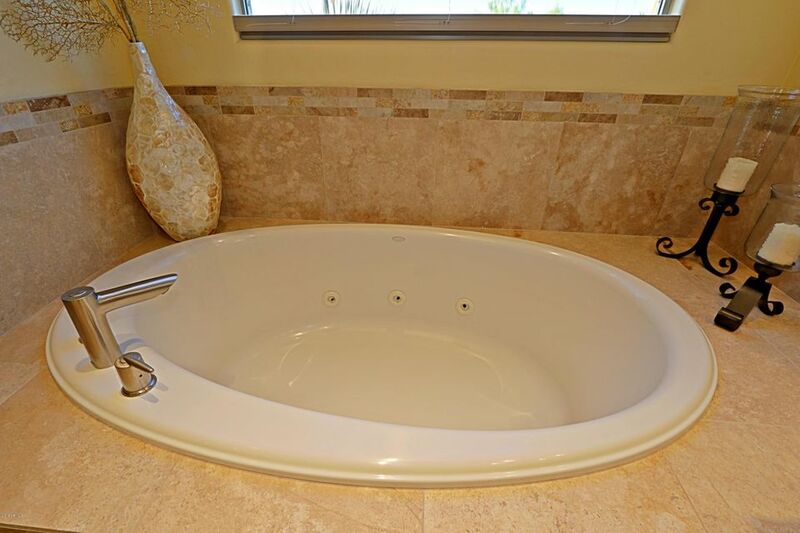 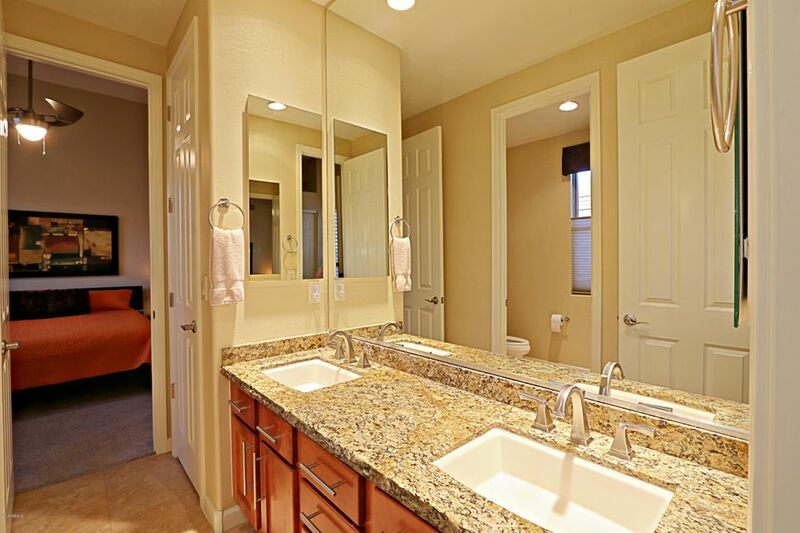 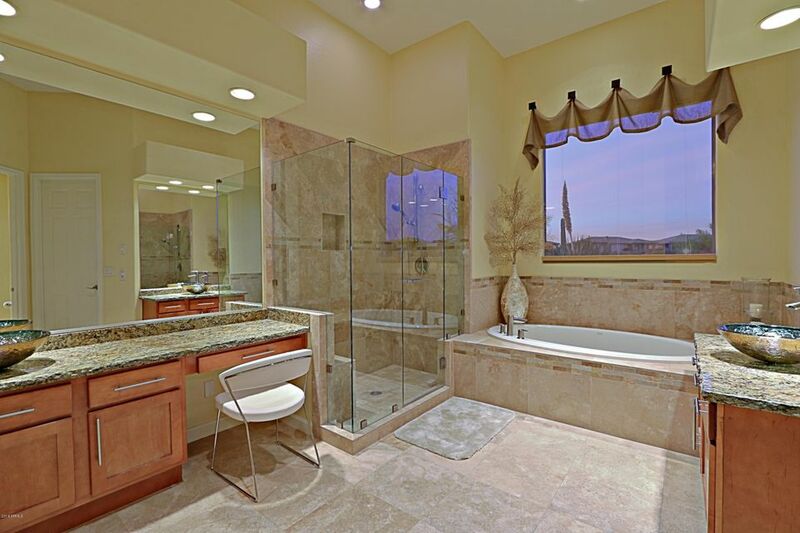 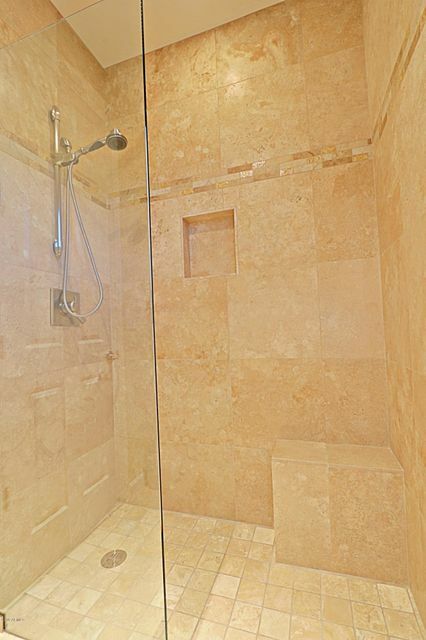 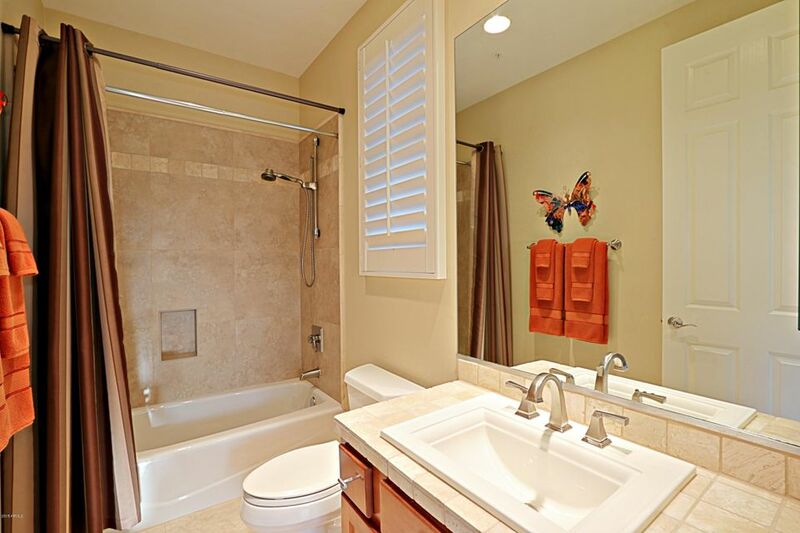 A Jack & Jill bath separates secondary bedrooms. 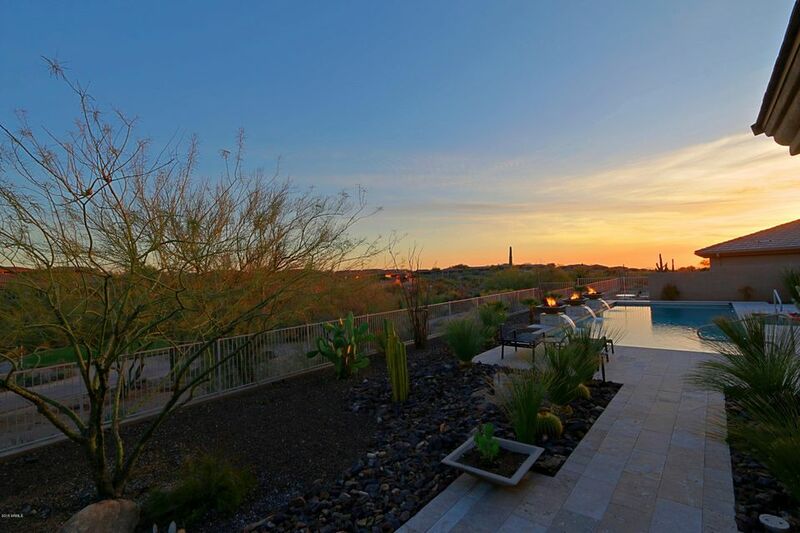 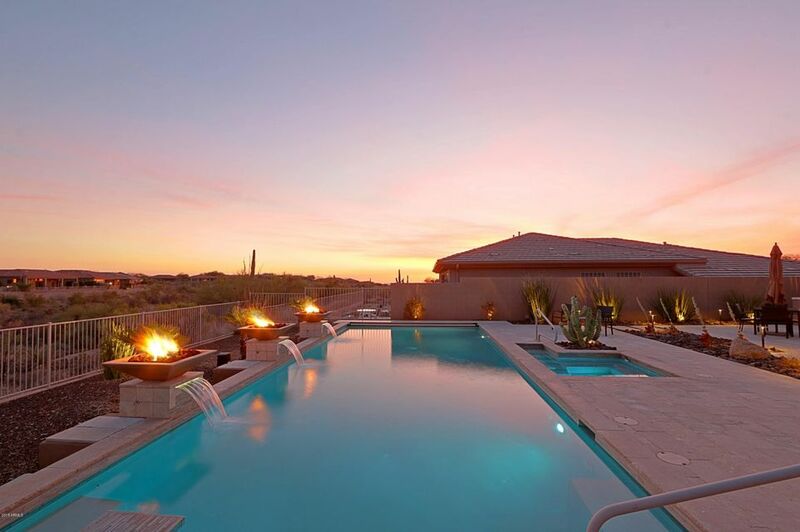 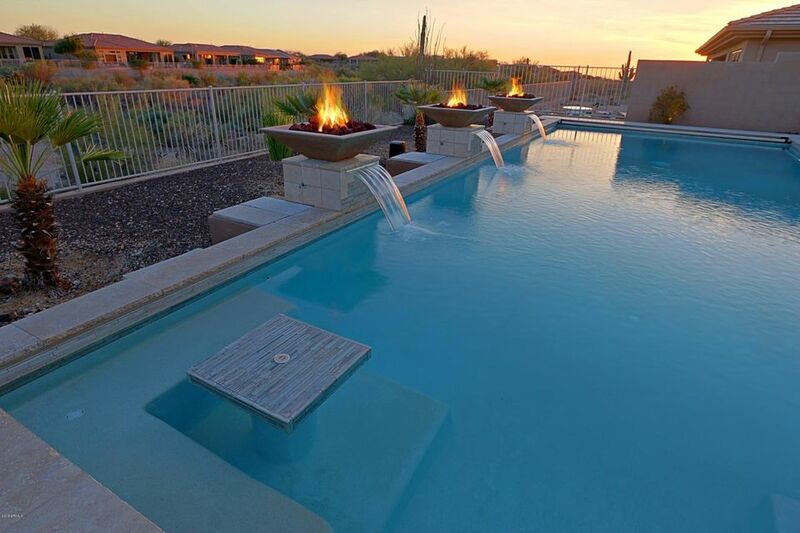 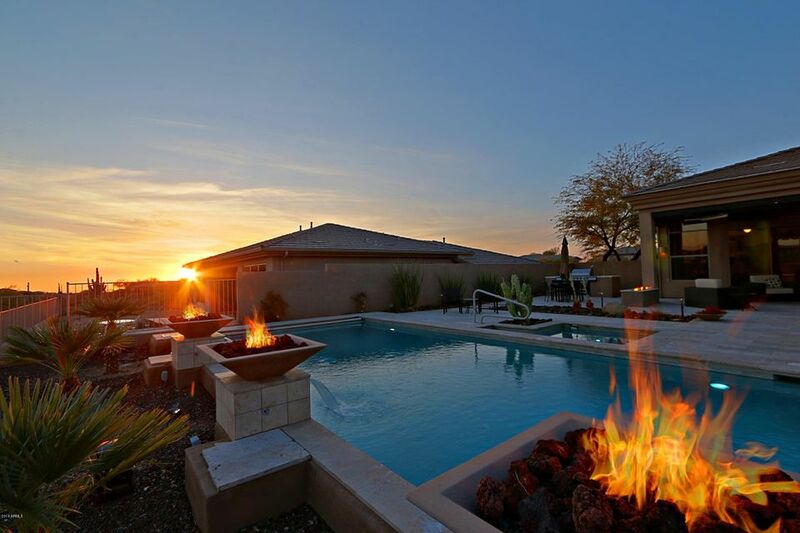 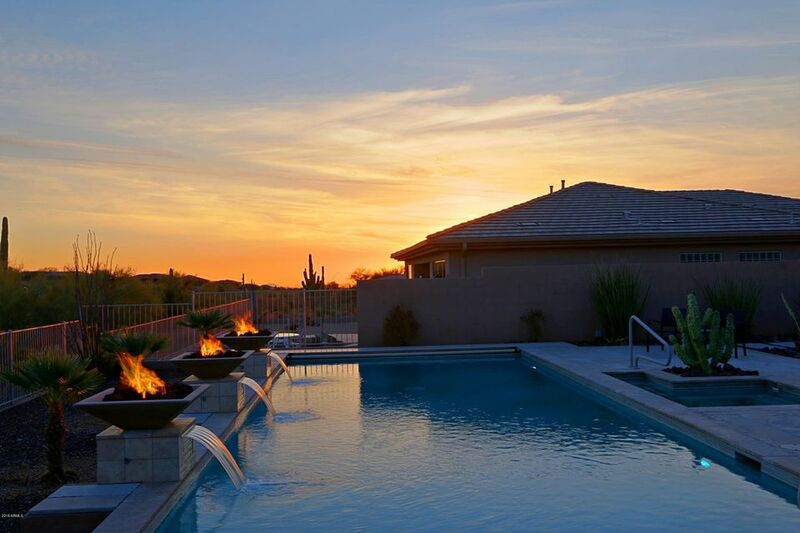 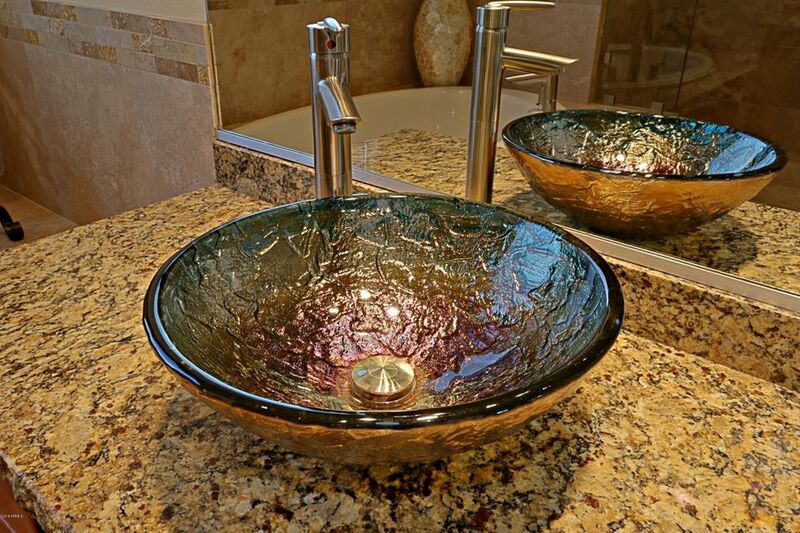 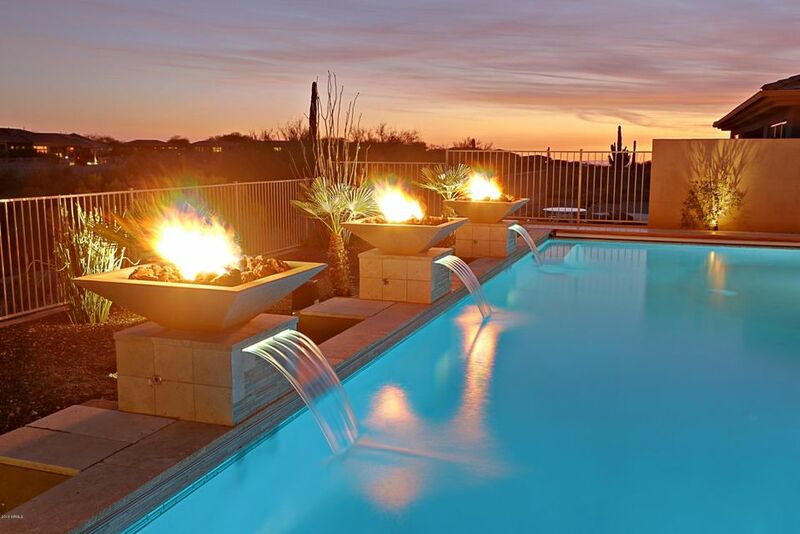 Natural light envelopes you & you're drawn to the backyard with a huge patio and 18x40 pool surrounded by water features & firelight dancing in the night sky. 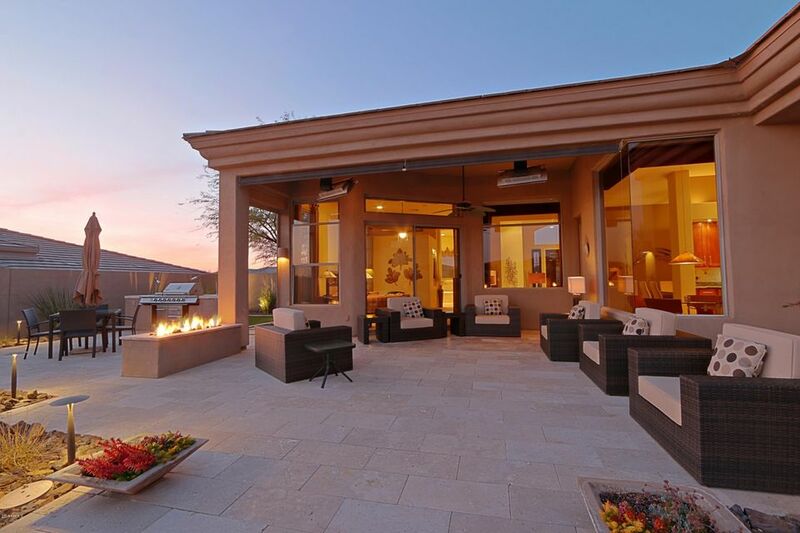 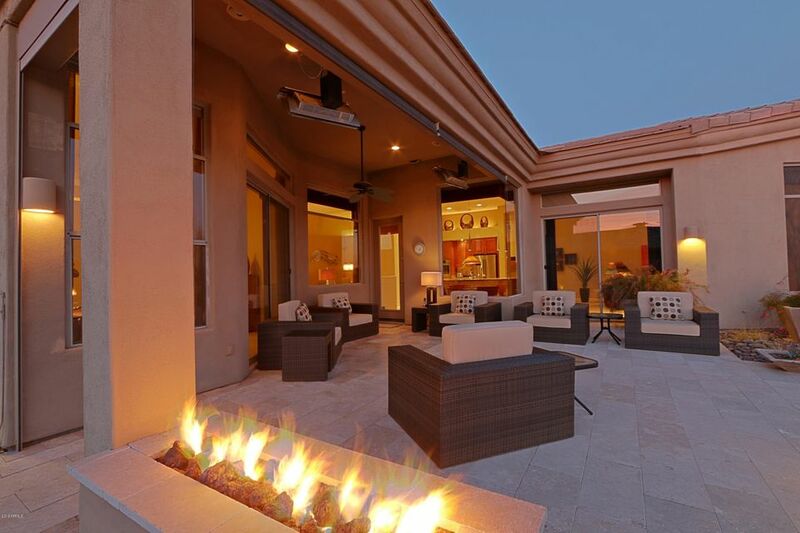 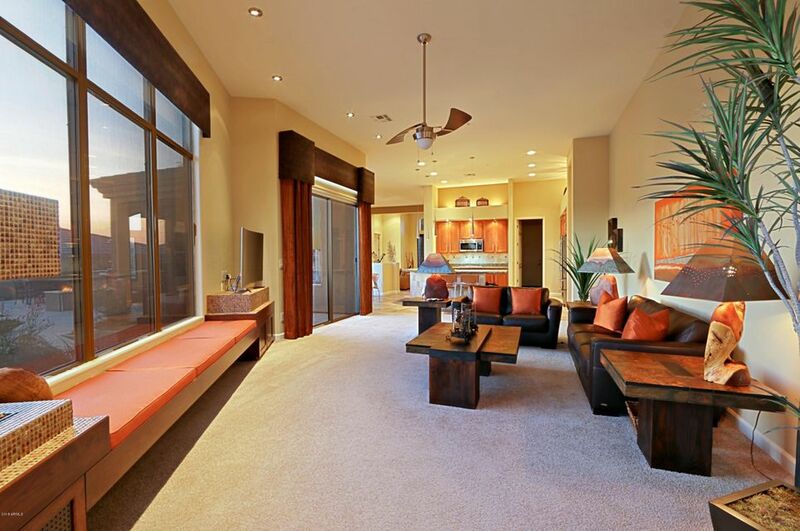 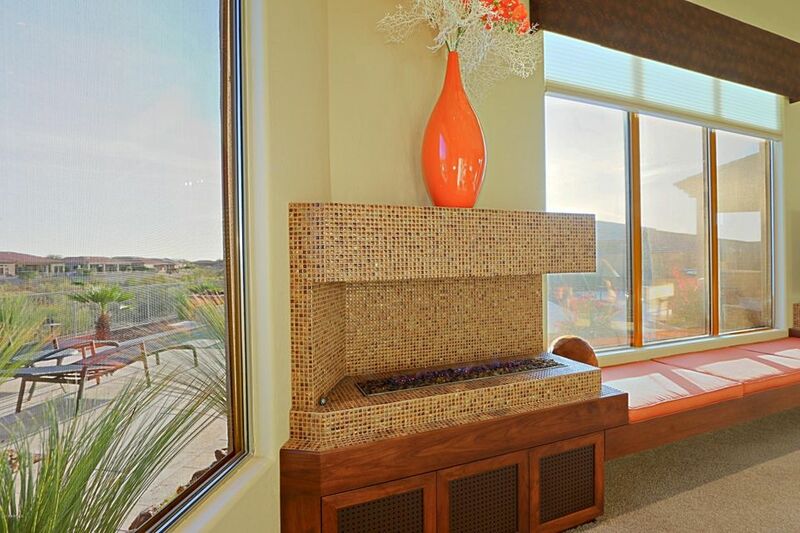 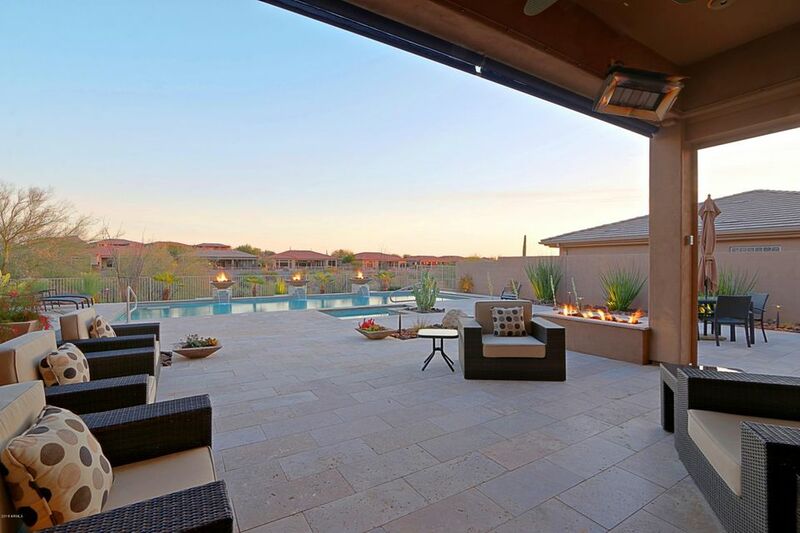 Exterior heaters & travertine make this a 2nd living area!